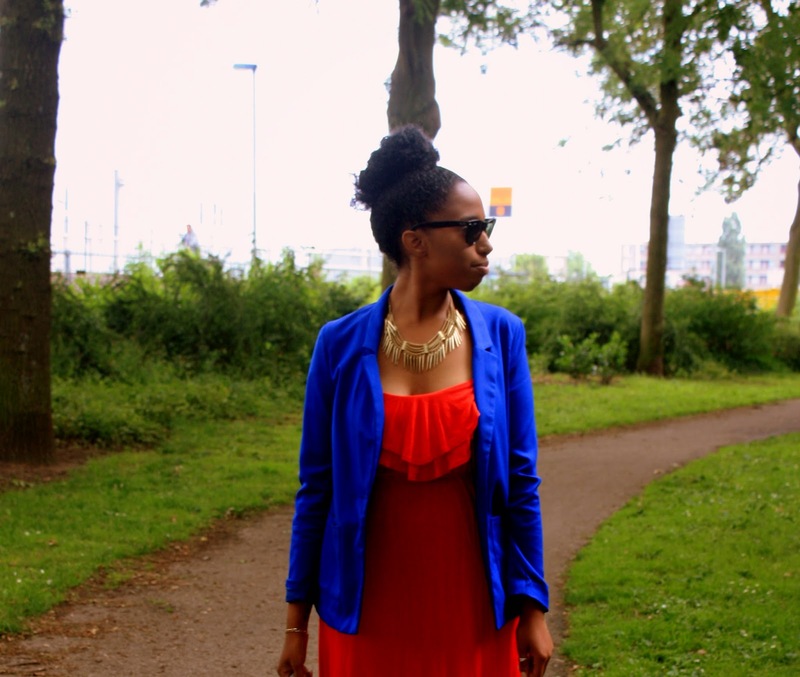 Today I wanted to do some color blocking. 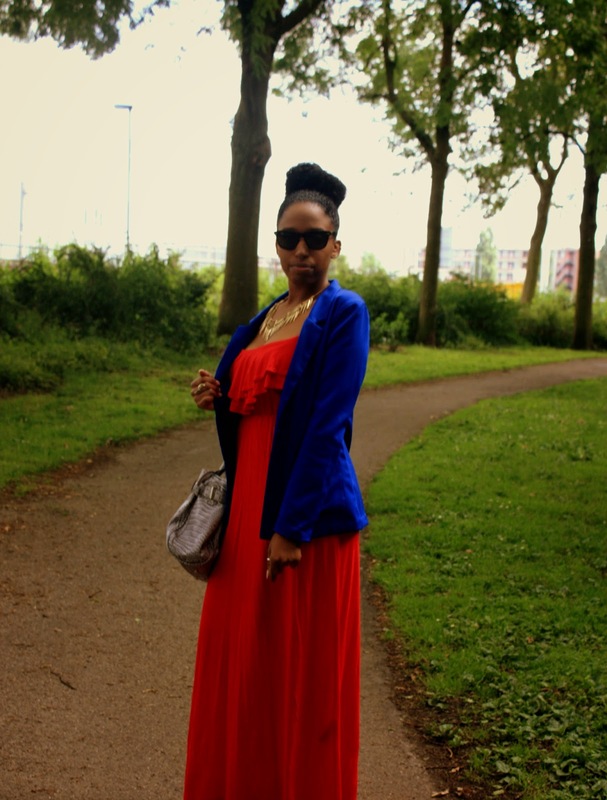 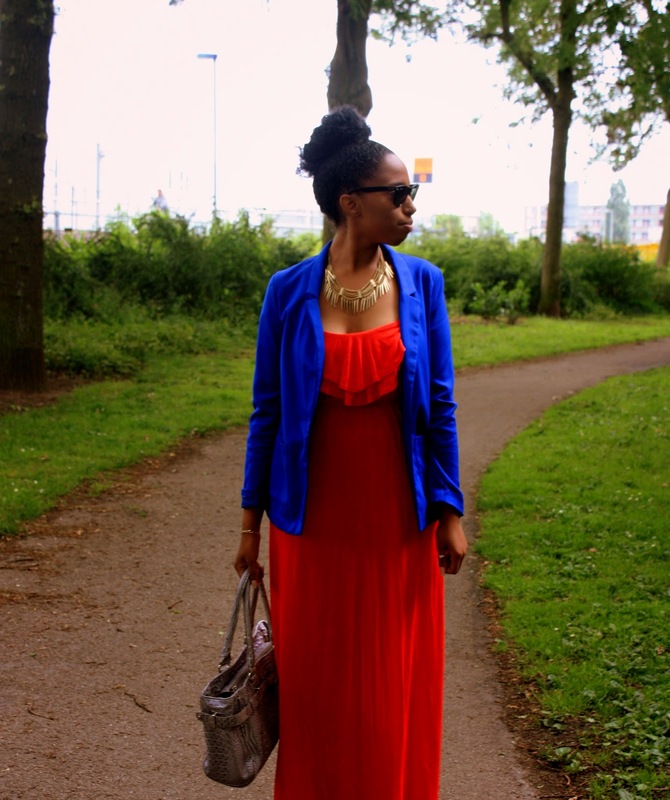 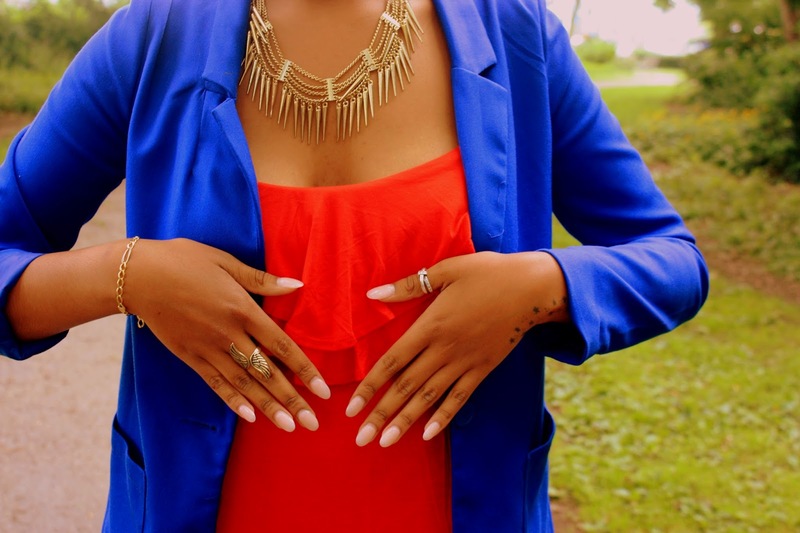 Therefore, I decided to combine this red maxi with my blue blazer. 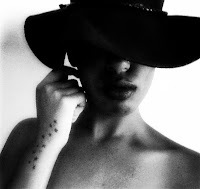 I love the result, since it is so happy and bright.